Time to think about capturing some beautiful family portraits in and around the very ambient areas of the Gold Coast and its hinterland. 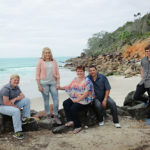 With a wide and varied selection of top spots that include both beach and bush surroundings, you are sure to fall in love with your images, once you have made the decision to book in for a session of capturing beautiful moments with family photography Gold Coast. 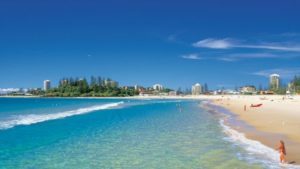 The Gold Coast stretches from as far north as Southport, and as far south as Tweed Heads. Even some portraits along the riverside near Tweed Heads, with a vast array of sailing boats moored behind, would result in some lovely images. Coolangatta boasts many scenic beach areas that will provide breathtaking backdrops for your family photography session. The trees along the waterfront are majestic, and the days are usually sunny and bright. Perfect to set the mood for your portraits. However, even if the day is cloudy or very inclement, don’t despair as those pearly grey skies can be gorgeous and if all else fails, the photo shoot can easily be rescheduled. If you are hoping for a studio session, my studio is available quite close to the Gold Coast, and the drive south for an hour from the Gold Coast is an easy one. If you are living on the Gold Coast, you may like to have your family photographed in the relaxing environment of your own home. That is perfectly fine, and you may even have tree-filled parks or quiet waterways quite close to your home, that we can utilize as well. However, if you need suggestions, there are so many gorgeous places that the Gold Coast has to offer. For example, Point Danger, Currumbin Alley, Kirra Lookout, Tallebudgera Creek ( this is a lovely spot for littlies) , Snapper Rocks, Greenmount Coolangatta, Currumbin Rock Pools, The Hinxe Dam and Lores Bonny Lookout as well as Doug Jennings Park. These are just a very few of the places we can think about for your family photography session. What about a day up at Mt. Tambourine for some rainforest photographs? The possibilities are endless. One thing is for sure-the Gold Coast is certainly not short of magnificent places to take your family to enjoy a fun filled morning or afternoon capturing priceless memories. Family is forever but your children grow up so quickly and move on to their own careers and families. This is when they just love to revisit those priceless family photographs and reflect on how much fun it was living on the Gold Coast, how much they treasure the memories, and how glad they are that the investment was made to create them. This entry was posted in Brisbane News by mentzdog. Bookmark the permalink.